Welcome to the Obby Rewards Club! Obby Reward Club points are as good as cash, once you gain enough points, you can redeem them against your next Obby class or course! 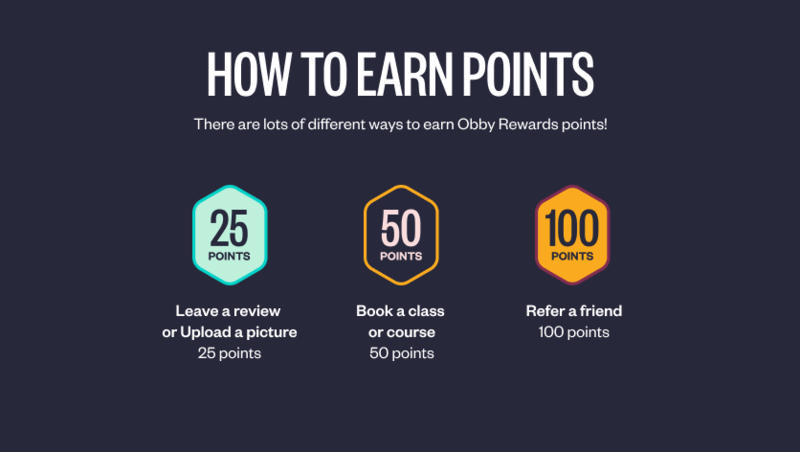 It’s simple, rewards points are earned by completing a variety of tasks on Obby. Once you get the number of points needed to hit a milestone, your points will turn into vouchers that you can redeem against your next course or class on Obby. So, there you have it. You can earn points just by learning something new, sharing Obby with a friend or sharing your pictures with the Obby Team. If you have pictures you want to share for up to 25 points per pictured added (pending quality review), you can do that by uploading them here. To share Obby with your friends and family for 100 points each, all you need to do is send them your exclusive link, which you can find here. How do I keep track of my Obby rewards? 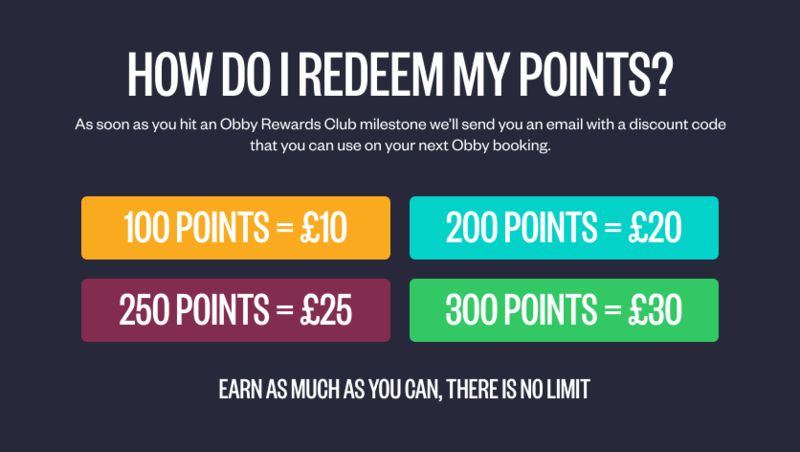 Every time you complete one of the actions above, Obby will add up your points automatically and email you the minute you hit a milestone with your discount code to use against your next Obby booking. However, if you're desperate to know how far off you are from your next milestone, you can also check your points right now by clicking here. 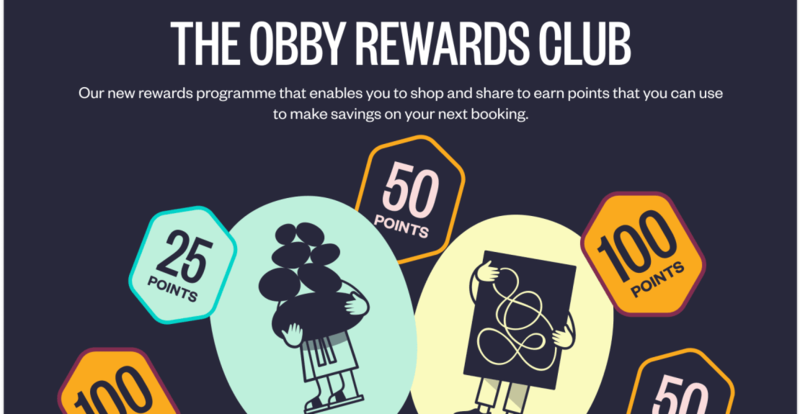 How do I redeem my Obby Rewards Club points? Great! We love a keen-bean. Why not book your next class or course to get started? Don't forget to check your wishlist to see what classes you've had your heart set on for a while. If you have any questions or feedback about The Obby Rewards club please drop us a line. We'd love to hear from you.